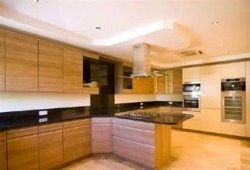 Wonderful new built villa situated in a mature area of the Vale do Lobo resort. On the ground floor the property is composed of entrance hall, guest toilet, one en suite bedroom with built-in wardrobes and direct access to a terrace, two further bedrooms, one bathroom, spacious open plan living and dining room with access to outside terraces and a large fully fitted and equipped kitchen with seperate laundry room. On the first floor there is a master bedroom with dressing area, large bathroom and balcony with beautiful views over the resort and the golf course. Outside you can find a nice terrace with kidney shaped heated pool and barbecue area.